Sign your papers like a champ with this Lucille Bat Ballpoint Pen! This pen measures about 6-inches long and comes with splattered blood. 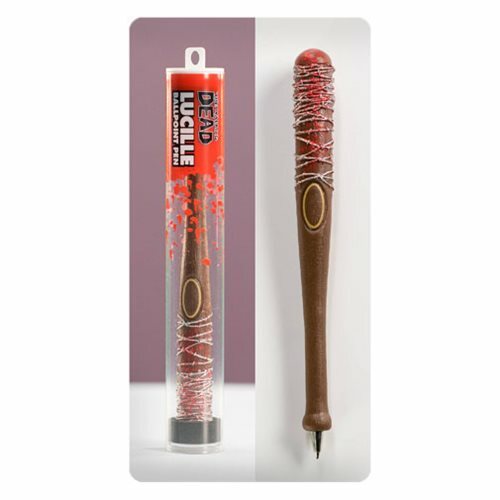 Now you can lay to waste to all of your documents with this Walking Dead Comic Lucille Bat Ballpoint Pen! Ages 15 and up.